What to do Weekends #249 ~ Last party of the Month! Good evening, friends! Thank you so much for coming over and sharing all your wonderful creations with us each week. October gone, just like that! Times flying by faster and faster the older I get! I hope you all have had a wonderful week! If you are new to the Party. I'm am so very glad you are here! I've have been pinning away, during the week, so, Please do check out the Party Board! On with this week's Features! Sorry, not as many as usual, my time is not my own these days! Whew! Enjoy! 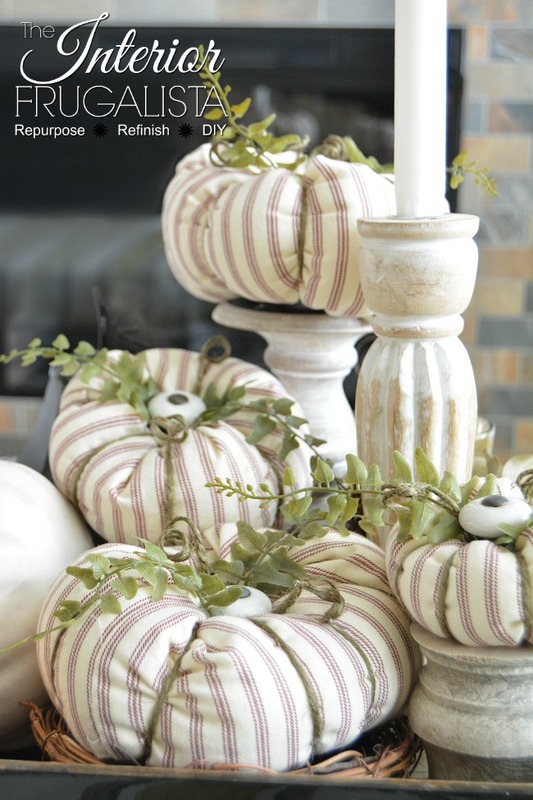 Cathy from Vintage Paint and More shared her adorable Easy Lacy Vintage Pumpkins Too cute! Hello, Friends! Welcome back to the What to do Weekends party! Happy Fall! I just absolutely love this Season! I can't wait for the cooler weather! 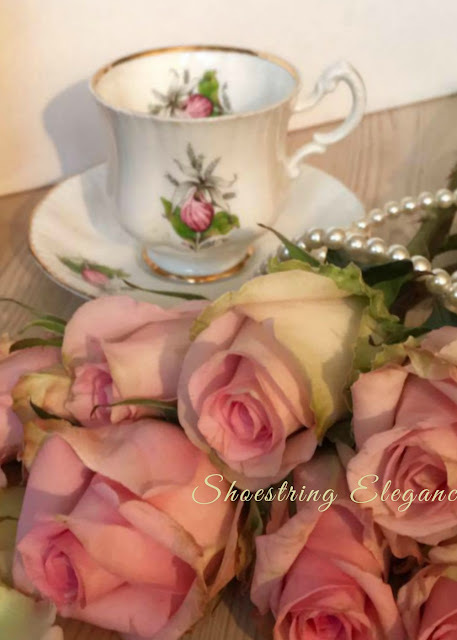 I hope you like my blog's new look! It was time. I'm still doing a little tweaking here and there, but my hope is that it is much more reader-friendly. Let me know what you think! You Ladies are all SO talented!! I love this party! If you are new to the Party. Welcome. We are so very glad you are here! I've been pinning away again during the week, so, please do check out the Party Board! I hope you will link up and check out the Features, both here, and with Linda @ Crafts a la Mode! They aren't the same! We each pick our own! Thanks for sharing with us! I hope you are having a WONDERFUL (almost) WEEKEND! Kit from The Kittchen shared her yummy recipe and had me drooling on my keyboard with this delicious Pear and Blue Cheese Stuffed Pork Tenderloin. 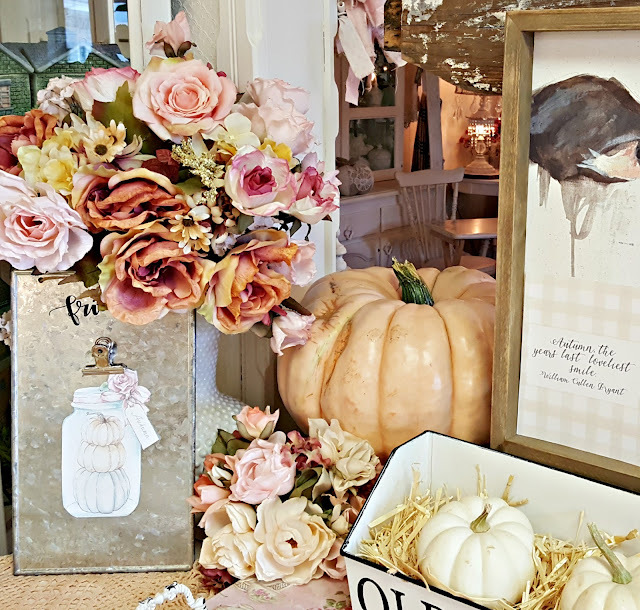 Penny @ Penny's Vintage Home shared her beautiful Fall Farmhouse Kitchen. So pretty, so much to see! like the new look to my blog. I felt the need for a fresh start. As you most likely know, I haven't really been able to write or share any original content with you in quite some time. There is a reason. You know how people always say, your life can change in a moment? I have, in the past two years, found out just exactly how true that statement is. MY life "changed in a moment" the minute I was baptized and reborn with Jesus Christ and, then, again, on January 2nd, 2016. Last January. I received a call from my Sister, who insisted I sit down. (by the way, if you ever want to worry someone, insist that they sit down before telling them why you're calling) After I convinced her that I was already sitting, she proceeded to tell me that my Mother, My best friend in this world, had suffered an Aneurysm and was currently being helicoptered from the hospital in my Sister's town of Redding, where they had been visiting, to UC Davis Medical Center, Neuro Intensive Care.